We are living in a machine-like world today, where machines are taking the place of handmade art, especially engraving. 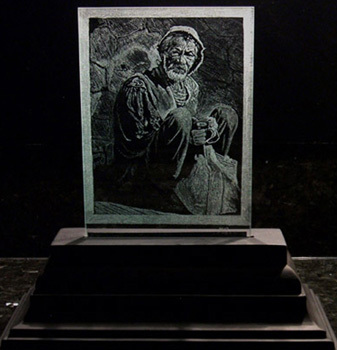 Still there are few artists like Vijay Kharkar, who are striving to keep the art of engraving alive. Glass engraving is a form of decorative glasswork that involves incising a design on to a glass surface, by cutting grooves into it. Diamond coated or Tungstone Carbide stylus, Stone or Copper wheels used with a lathe machine, hand-held rotary drill and Diamond coated burrs are tools, which when used with the right skill produce such attractive and mesmerizing designs that it’s difficult to get your eyes off such artistic pieces. 14 years ago, Vijay Kharkar, a Pune based artist left his pencil and brush and adopted the hand-held rotary drill to begin working on glass engraving. At 74, there is no end to his enthusiasm. Without any formal training, but armed with the essential tools of hard work, experimentation and practice, Kharkar has developed his own technique and mastered the art. His inspiration and learning comes from the works of eminent engravers like Wayland H. Cato from the U.S., James Denison from UK, Catherine Miller from West Virginia and master glass engraver Max Erlacher. 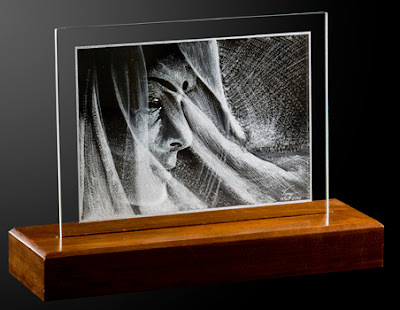 Glass being a very versatile medium can be used in different ways in engraving and presents excellent results; this is what Vijay Kharkar realized and began experimenting with different tools and themes like portraits, landscapes, animals, floral designs and old sculptures. The outcome of these experiments is the number of awards and accolades he has collected for his work, not only in India, but from all over the world. A precision-driven process, glass engraving involves utmost concentration and a very steady hand; being a non reversible process, mistakes are not permissible. 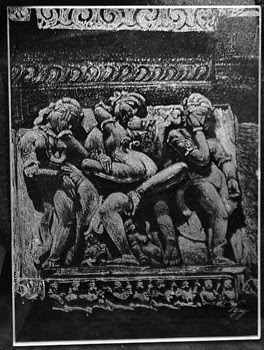 With such inherent challenges, Vijay Kharkar faced many challenges like his work ‘Old Age’ required rough texture to depict agony and ‘Amorous Couple’ needed a softer texture to incorporate the mood. The spray of water and the huge rocks visible through the spray in ‘Niagara’ needed numerous trials with a variety of tools. 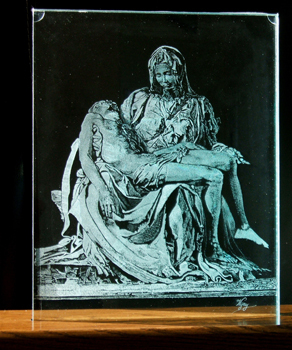 ‘Pieta’ demanded a marble sculpture effect and matching the picture on two glass sheets to show the 3D effect. He says that his most challenging works were ‘Pieta’ and ‘Veiled Beauty’. 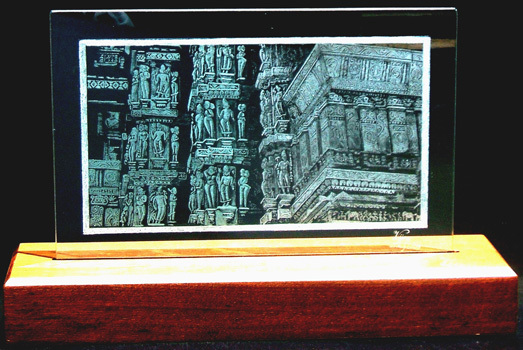 With acid etching fast replacing the art of engraving, Vijay Kharkar suggests young artists to be exposed to this art form via exhibitions, displaying photographs on blogs, publishing links to the works of great glass engravers, holding competitions for glass engravers to encourage young artists to take up this art form and also by creating awareness in the public about this art. Browse through other signature styles; portraiture; photography; papier-mâché; sculpture; painting etc. It is unbelievable that these are engraved on glass!Amazing dimension and depth in the works. 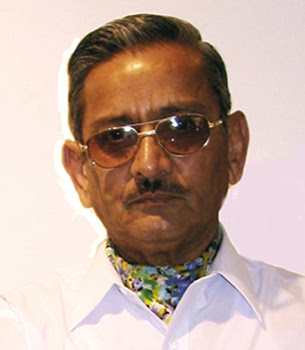 I, Chanel stand for the laser engraving machine business, show the highest respect to Mr. Vijay Kharkar. Awesome! It is unbelievable that these are engraved on glass! Hi Vijay ! Thank you for sending your artwork our way. Your talent is quite impresive. We look forward to seeing more. 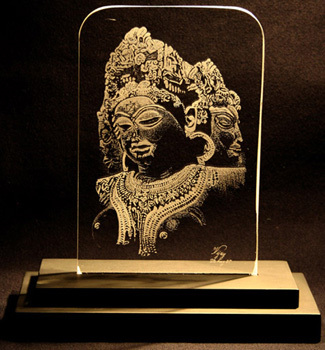 Vijay's engravings show an amazing creativity and skill to create these works of art in a very delicate, but versatile medium - glass. 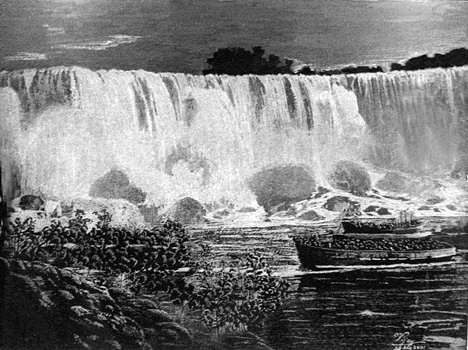 I am proud to have the Niagara Falls as a priceless piece in my collection. Thank you for appreciating my work. It is people like you all that will keep encouraging me to achieve even better results. IT is simply awesome!To do such works of details, one requires patience, meticulousness, careful handling of the glass, and of course Talent.You have them all.All the best for your new work. 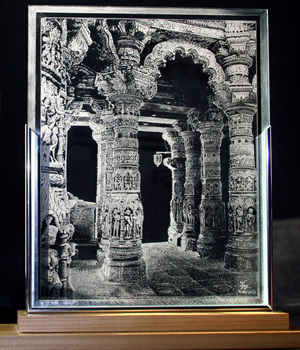 I have seen your glass engravings at Pune. Your engraving skill is par excellence. as a whole, as nothing becomes conspicuous.To make engraving eye-catching, few features need to be bold enough.. e.g. "The Humming Bird"
Perhaps, u will weigh this angle too. I like your "NIGERA FALLS" the most. Thank you for your comment. Can I see some of your work? It would be a pleasure.